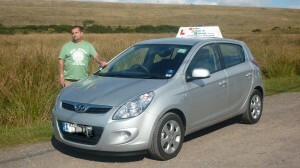 You will need to pass your Theory test and then your Practical Driving Test to get your full license. When it comes to booking either of the tests, I am happy to do so for you or you can book these yourself from the DSA. Please note if you do book your Practical Test yourself, you need to check dates / times with me first before booking, as I need to be available for so you can use my car. The evening before your test, (for those with mobiles) I will text to remind of documents needed, time and collection to leave nothing to chance of being forgotten!